Okay Florida, you can back off the heat now. I mean GEEZ. Can't a gal walk from her car to her work building at 9 a.m. without dripping sweat?! It's safe to say that I'm ready for the fall. 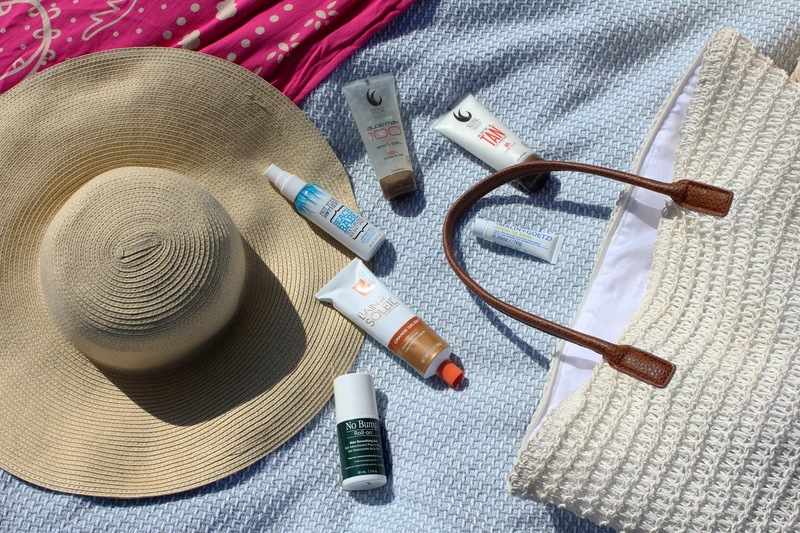 But in the meantime, when the sun is still beaming down, I'm sharing a few of my beauty must-haves with you all. 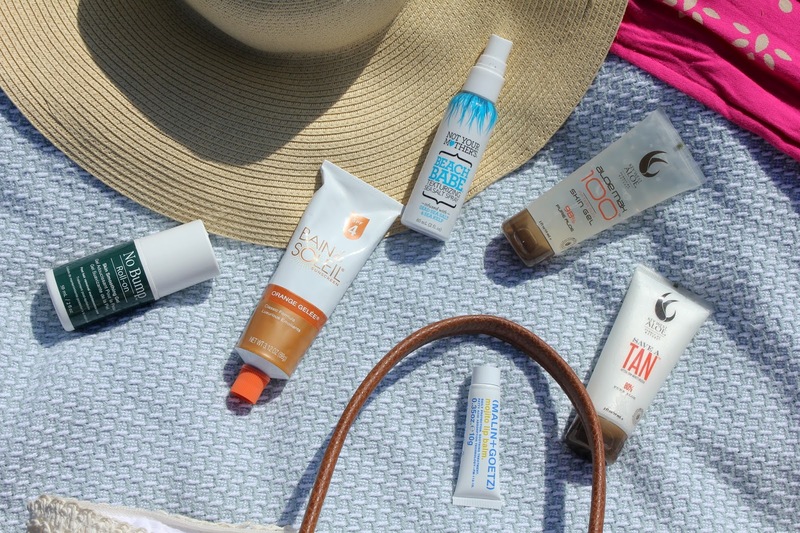 From tanning gel to sea salt spray, I'm breaking down my favorite products to use during the sunny months. Let's start off with my favorite tanning product, shall we? I SWEAR by Bain de Soleil (you can purchase it here, too). I've been using their orange gelee for years - my mother uses it, too. While I'm already on the tanner side with my Cuban background, this tanning gel gives me an ultimate golden shade that I loveeeeee. For those that are super sensitive in the sun and burn easily, this may not be the product for you. The SPF is low, to reap it's tanning greatness. Just slap this baby on and in a few hours, you will thank me. Key West Aloe - a new favorite of mine. I love both of these products of there's that I've had the chance to try! Their Save A Tan lotion seals in your fresh tan - plus it's coconut and key lime scented!! It's made with 80 percent Aloe Vera to help replenish moisture, prevent any peeling and lock in that golden glow. Another product of theirs that I've loved using is their Aloe Max 100! It provides relief from any skin irritations (hello 98 percent Aloe Vera!) and helps sooth skin. Both of these have become a permanent staple in my beach bag. Behold the easy way to get those beach waves - Not Your Mother's Beach Babe Salt Spray is one of my favorites!! Infused with dead sea salt and sea kelp, this spray helps you achieve that perfect just-been-at-the-beach goddess head of hair. The last thing that I always have with me is a great hat! Whether it's floppy or sporty, I bring along something to shield my eyes and face from the sun. Because by the end of the beach day, I'm ready to cover up! Do you have any beach beauty staples that I should try? Be sure to head over to visit my fabulous gals' blogs - Audrey and Olivia - to see their top beach beauty picks! Half the week down, only one half to go! I have GOT to try that gelee!! Sounds awesome! Love hearing about new products...I wanna hit the beach now!! I so want to try that Not Your Mother's Beach spray... I feel like I have tried ALL of them and not achieving the ideal result. So... I am glad you speak so highly of this one! It is such a weird time. Like today in Texas, I'm chilly (anything below 75 is chilly to me lol). But I bet tomorrow it will be unbearably hot again lol. 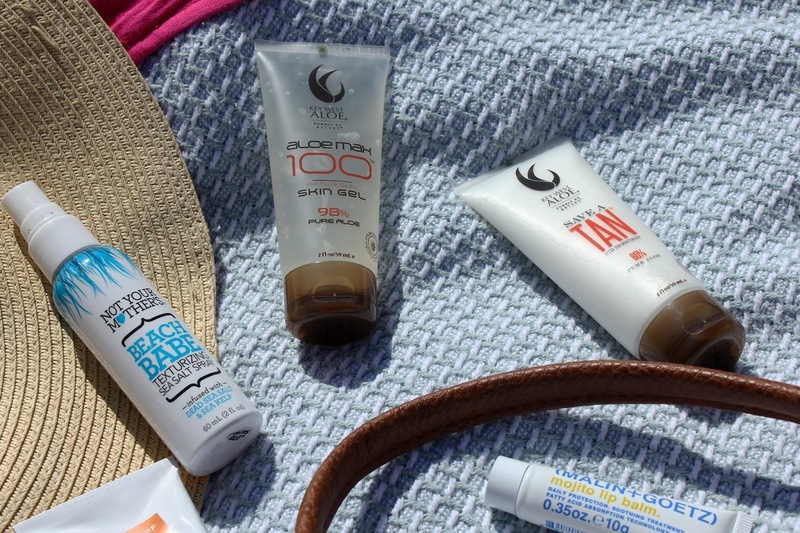 Thanks for sharing your favorite "in the sun" products! I've been getting bumps on my legs too, so I definitely need to try that Gel! Thanks for sharing these products! I haven't heard of that tanning brand before. I need to look into it for winter when my skin gets soooo pale! I'm with you on the heat... boo GA weather too! That smoothing gel sounds awesome... I hate razor burn! I'm with you and everyone else, I'm over the heat and ready for fall!!! These are great essentials! Great essentials! I'll have to remember these the next time I am packing for a beach vacay! I would be lost with out aloe after the beach! Also, you have go to try the Malin + Goetz body wash...one of my favorites! It smells so yummy! Great post! 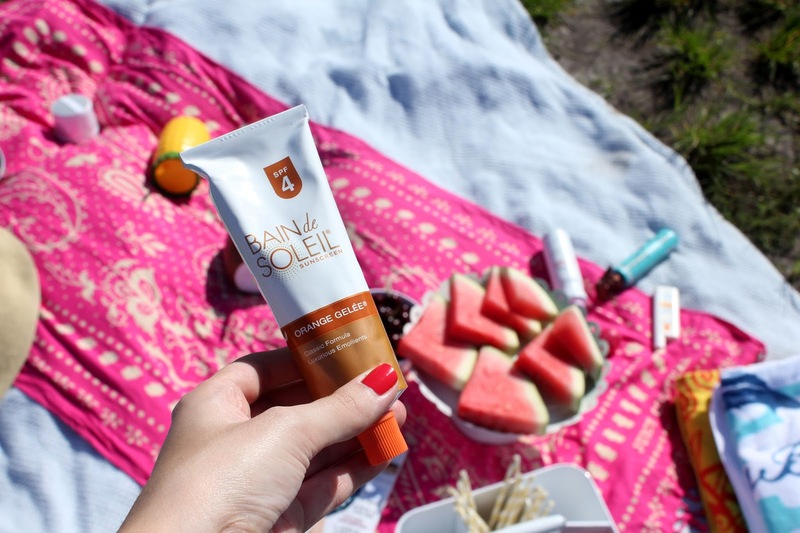 Some how Im always in the market for new products :) I need to try Bain de Soliel product!! Man, I wish I could use that tanning gel! WAY too pale for that lol. I definitely agree that the Not Your Mother's Sea Salt Spray is the BEST product, especially for summer hair. Nothing compares and the price can't be beat! This type of products make your skin more glowing. These types of products hide your marks. But whiling using that products, make it clear that which product is good for your skin. Because some time your face can be get effected by skin infection problems.